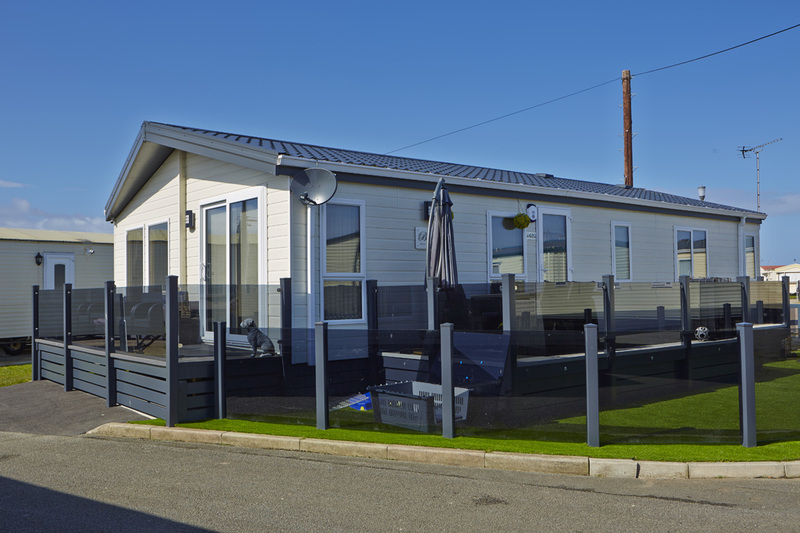 Owning a Static caravan is a great way to enjoy Towyn in North Wales, and at Seldons Golden Gate Holiday Centre, you have the ability to pick and choose the perfect sited caravan for your needs. No matter how often you plan to use your static caravan or how infrequently you’ll be visiting North Wales, we have the perfect sited caravan for your needs. We’re proud of our wide selection of caravans. We offer both new and pre-owned static caravans for sale which opens up the price range drastically. We offer caravans from leading industry brands such as Abi, Atlas, Bk, Cosalt and Willerby. You don’t need to worry about your budget because we’re sure to have something suitable for your needs. With a fantastic pricing structure that is sure to please you and plenty of funding assistance to help you afford a static caravan. You’ll easily be able to find your perfect home away from home at Seldons Golden Gate Holiday Centre. Owning a static caravan can be like having a home in an idyllic location that you can’t drag yourself away from. It’s a fantastic way to provide you and your family with an almost permanent holiday location. One that you can trust is safe, secure and surrounded by friendly neighbours that want the same as you: a place away from their home that they can relax, enjoy life and unwind. To help you make an informed decision, here are some of the benefits of owning a static caravan. Save money in the future. One of the biggest benefits of splashing on a static caravan is being able to save money on future holidays. A static caravan costs around the same as a lower-end car. While it does sound like a lot, it is paid over a long period of time, meaning you can split the payments into manageable chunks. As you pay it off, you’re free to use your static caravan any number of times, and it can become your relaxing retreat away from home. Earn money in the future. Static caravans are ideal locations to rent out to holidaymakers. If people are willing to pay for fancy hotels, then they’ll be more than willing to pay for a few nights inside a luxurious caravan. Whenever you’re not using your static caravan, it’s possible to rent it out to other families to continue making a bit of cash. Holiday without a tour guide. Who wouldn’t want to go on a holiday without a tour guide? Chances are, you probably have a good understanding of what you want to see and do on a holiday. A caravan gives you plenty of freedom when it comes to your future holidays. You’re free to do what you want, interact with your neighbours and even head out with your children to play. There’s no hassle because there are no deadlines and there’s no need to pay someone to show us around. Relaxed atmosphere. Seldons Golden Gate Holiday Centre is the perfect place to visit for a relaxed atmosphere. You don’t need to worry about loud neighbours, annoying tour guides or anything else that could bother you. Instead, we offer a tranquil, peaceful and enjoyable experience. Suitable for all family members. Static caravans make perfect family vacations. They can play sports out in the field, they can go for relaxing bike rides with you or they could explore the wilderness and spend a few hours at night camping. However, we understand that owning a caravan can come with many commitments that not everyone is willing to accept. If you don’t have much time to maintain your caravan but love being at Seldons, then allow our customer service team to assist you with polite and courteous manners. We’ll find the perfect caravan for you and your family, and we’ll have the right services to take care of it should you be absent for a long time. Whether you’re just gone for a few days or disappear for a year, your static caravan will be right where you left it, in sparkling condition and ready to serve as your holiday home. But caravan ownership can be expensive, even if the caravan is used. Seldons Golden Gate offers financing packages which will help you purchase your dream escape. This is great for anyone that has fallen in love with a caravan but simply doesn’t have enough money to pay up-front. For us, this is no problem. You’re welcome to discuss your financing options with our professional team, and you’ll quickly reach a conclusion that is beneficial to both you and the company. Seldons Golden Gate Centre has helped many families with their purchase. We understand that owning a caravan is somewhat like a dream for many people, especially younger couples. If you still want a sited static caravan in the North of Whales, then we’re happy to assist with financing options. Seldons Golden Gate Holiday Centre is a picturesque location that is steeped in culture and history thanks to the surrounding area. We have plenty of both used and new static caravans for sale if you’re interested in purchasing one as your next holiday home. If you’d like to learn more about owning a static caravan in North Wales, then don’t hesitate to give us a call on 01745 507 459. We would be more than happy to assist you in finding your dream holiday home. Alternatively, you could use the contact form and fill in your personal information and a message so that it automatically sends an email to us.